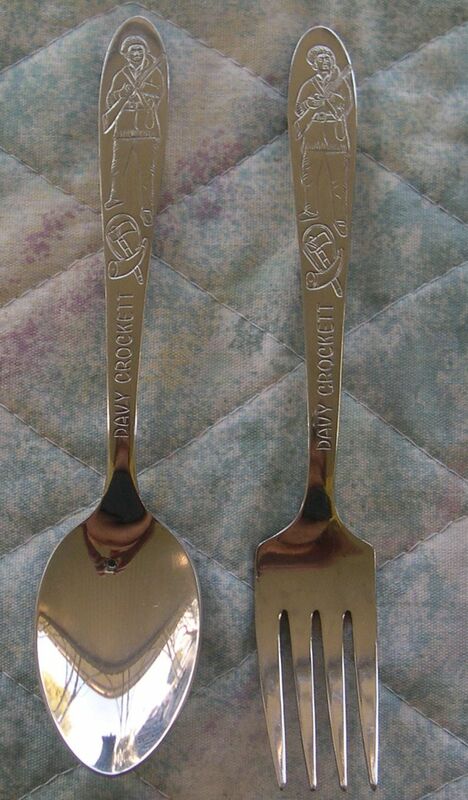 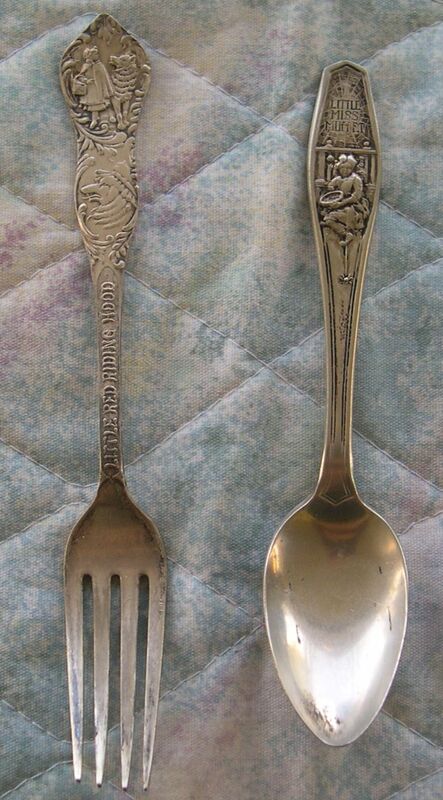 fairly rare spoon and fork combo of Davy Crockett. 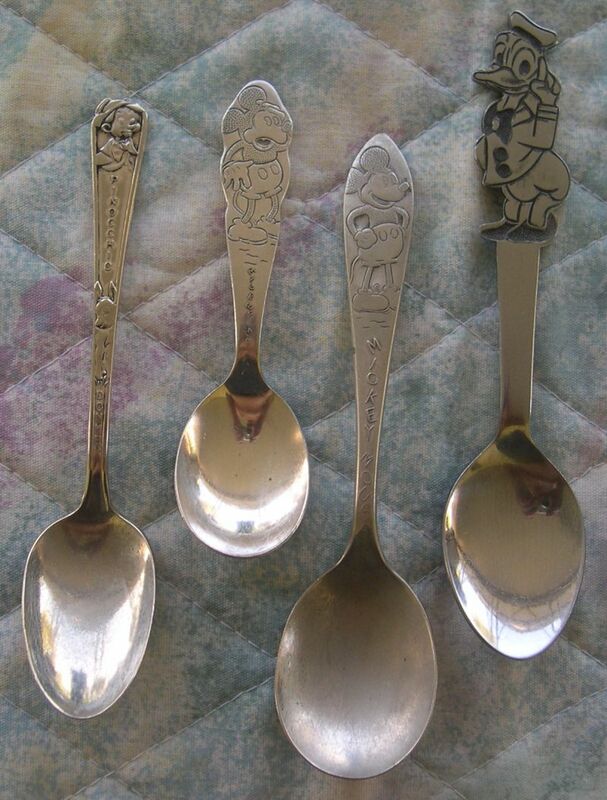 Set of the Campbell kid's soup spoons. 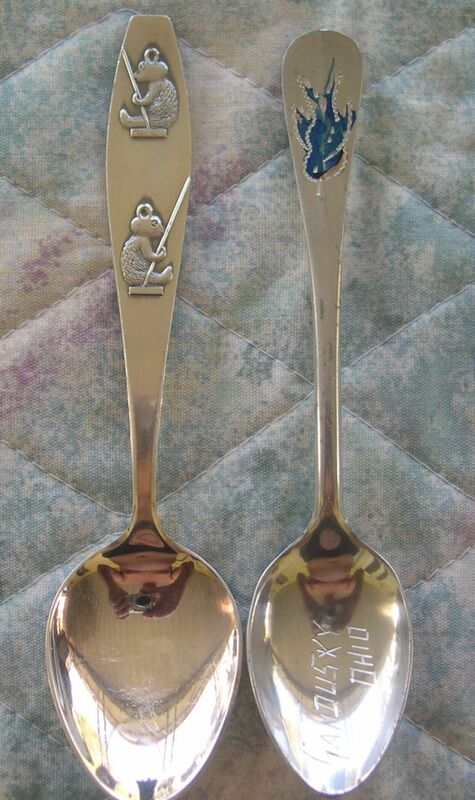 Jan Peerce sang "Bluebird of Happiness" in 1934.
on the Royal Gelatin Hour (later Royal Deserts Hour) in the 1930's. 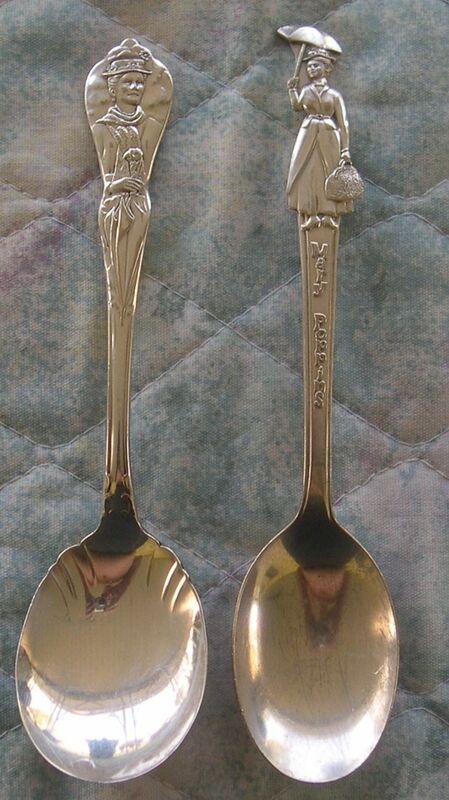 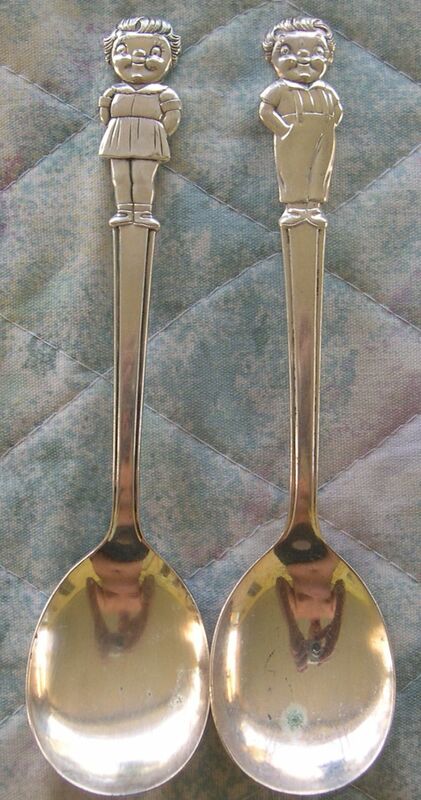 silverplated 1930's era spoon featuring Gene and Glen radio personalities . 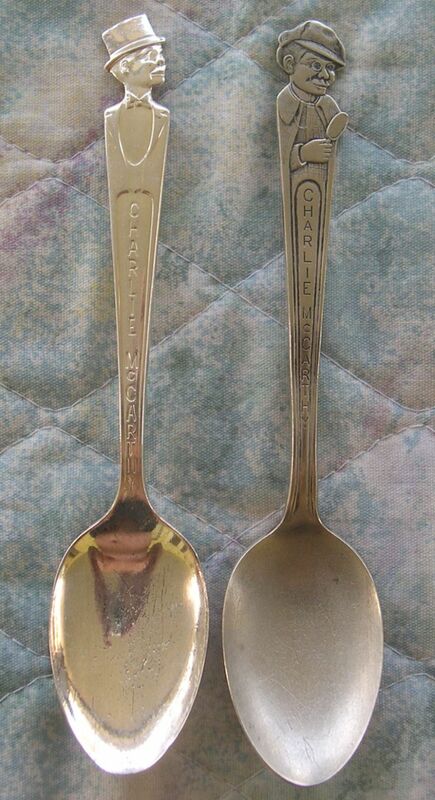 Sponsored by Quaker Oats and made by Peerless Silverplate Co.